Please Note: Case Only,No built-in Screen Protector. Compatibility With LG G Pad F 8.0 (AT&T V495, T-Mobile V496, US Cellular UK495 / UK495 2nd Gen, ACG AK495) AND LG Pad 2 8.0 (V498). Premium grade environmental silicone skin to provide added protection against drop, bump and shock. Form-fitting case designed to perfectly fit your device. Easy access to sensors, and ports Full access to user interface, camera lens, headphone jack, speakerphone and microphone. 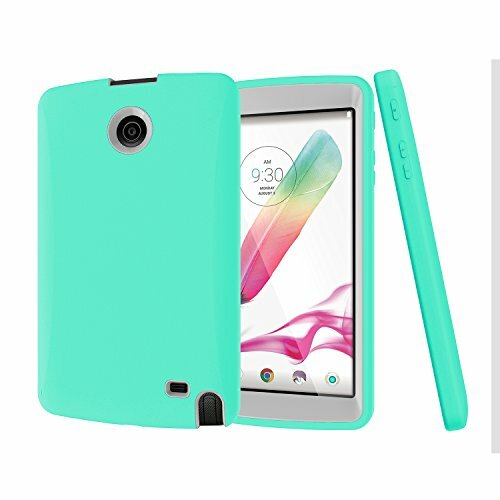 Specially designed for LG G Pad F 8.0 (AT&T V495, T-Mobile V496, US Cellular UK495 / UK495 2nd Gen, ACG AK495) AND LG Pad 2 8.0 (V498). Raised edges protect the screen and camera from directly touching the ground and scratches. Easy to access all buttons and features, controls and ports. Super sturdy, easy to install, remove and clean. And it's also perfect for kids and College Students.